Personalise Customer Journeys with Hyper-Targeted Marketing through Multiple Communication Channels. 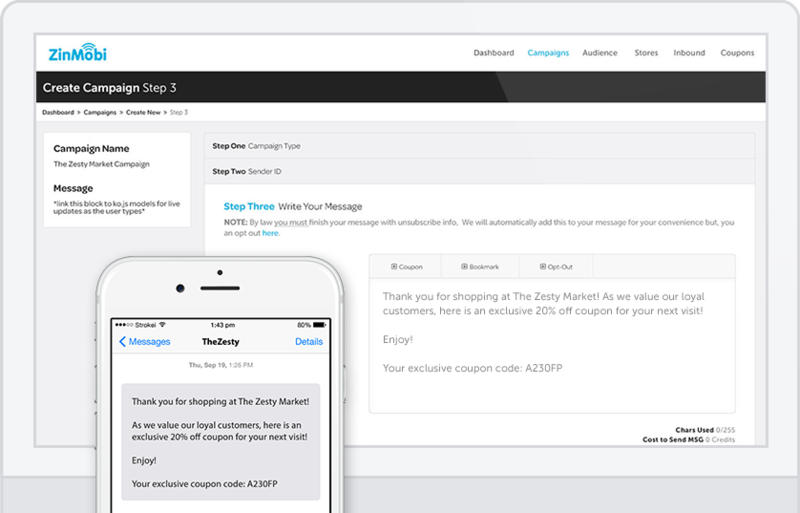 Grow your database of mobile and email subscribers using various inbound marketing tactics such as text-to-win, text-to-join or text-for-coupon campaigns. Promote your loyalty club in-store and online with our suite of promotion materials including table tents, sign-up forms, in-store tablet and social media plugin. Send highly targeted and personalised message to each of your customers based on their transaction history and preferences. Create rich 1:1 engagement experiences that results in increased sales and loyalty by touching every step of the customer journey with engaging communication tactics. Our unique algorithm turns data points into valuable insights to make the most out of every campaign. Use mobile surveys, polls and competitions to gain insights about your customers' behaviors and preferences, identifying areas of improvement and track changes overtime. Consumers have different devices and use them in different ways. Our multi-channel platform enables you to reach your customers through the most popular communication channels: SMS, push notifications, in-app messages, emails and Facebook. All on one platform. Light Touch Loyalty is our new, low-cost, fully automated CRM & loyalty solution specifically designed for retailers. Win new customers, drive sales and capture valuable customer data beyond just mobile numbers and email addresses. Make your life easier with advanced automated campaigns. Trigger the sending of targeted messages to customers based on the purchasing behaviour and buying preferences identified in your transaction data.